Are you looking to hire a hot box in London? We at N D Brown have a fleet of over 450 vehicles which we strategically place around the UK in order to ensure that there’s always one available near you. 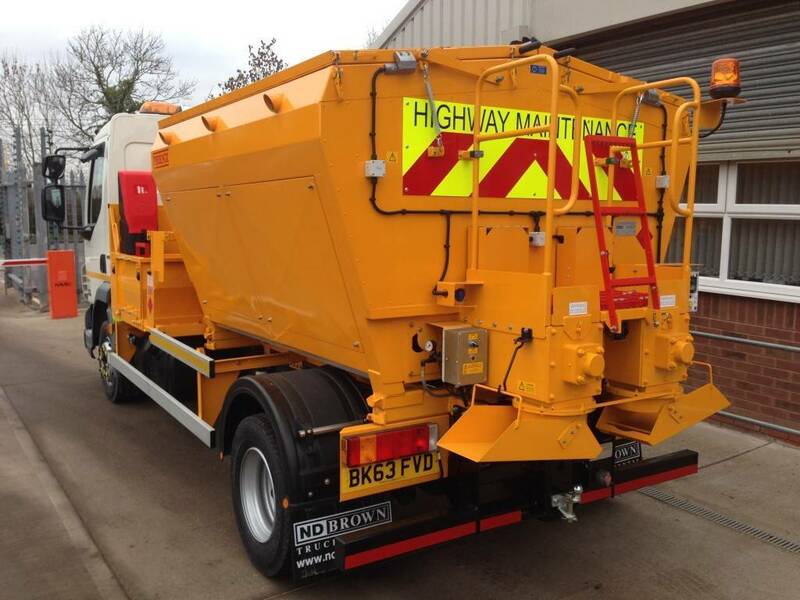 These road maintenance vehicles are available in a range of sizes so that no job is ever too small or big; we can cater for the largest of jobs with our 26 tonne truck, the capacity is outstanding! Here at N D Brown we pride ourselves on the excellent service we provide to customers looking to hire a hot box in London. Whether you’re about to complete some road repairs, pothole filling, pavement patching or any other sort of work, our hot box vehicles are the perfect tool for the job. Each has a fully insulated container with thermostat control to ensure that the internal temperature is correct at all times. A hot box from N D Brown guarantees excellent performance and the most efficient completion of your job – our experienced staff keep the hot boxes in great working order, and maintain their high standard after every hire. They are also incredibly knowledgeable in their fields, so if you’re not quite sure which one to use they can advise you and point you in the right direction. We at N D Brown have over 25 years of experience in this industry, so you can trust that you’re investing in the right company! If you’re looking for a hot box in London, don’t hesitate to get in touch with us at N D Brown! Our vehicles are durable and fully maintained, so you’re sure to be happy with the job they do. Contact us to get the ball rolling and order your vehicle today.